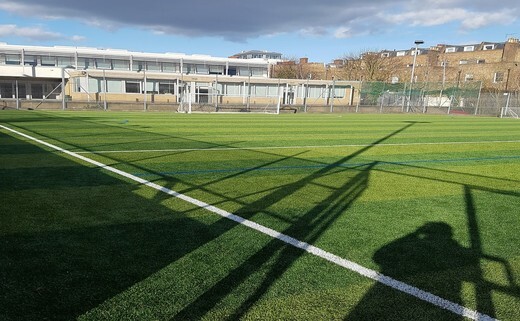 This is a 3G 60m x 40m Astro Turf pitch. Floodlights are available until 10pm. 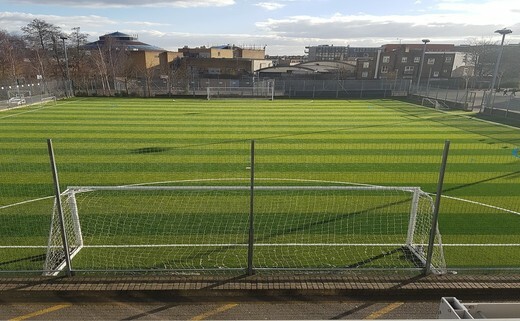 The pitch can be divided into two or used as a whole. There are full changing and showering facilities very close by making it an ideal venue for matches or practice. Prefer to play indoors? Click here to check out our Sports Hall.